Reinders, H., & Balcikanli, C. (2011). 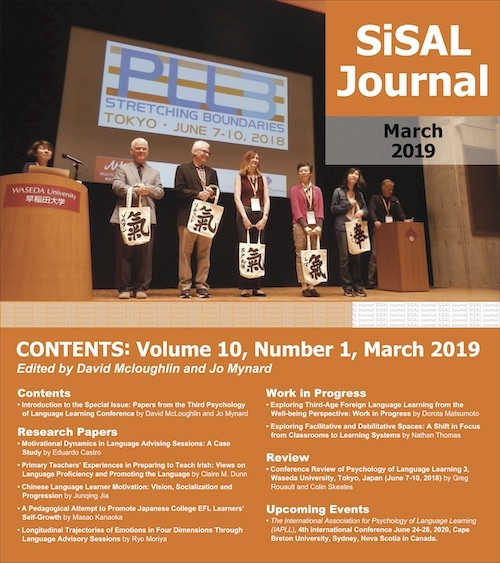 Learning to foster autonomy: The role of teacher education materials Studies in Self-Access Learning Journal, 2 (1), 15-25. Keywords: learner autonomy, teacher autonomy, teacher education, teacher education resources. Learner autonomy, as a subject for research and as an educational goal, has gained a lot of traction in recent years. Autonomy is now a common theme at conferences and in professional journals, and is well on the radar of the average language teacher. The idea that learners need to be able to take control over their own learning to be successful not just in class, but also to learn independently without a teacher outside the class, has become widely accepted in mainstream language teaching (Benson, 2001). Breen’s process syllabus (1987) and Nunan’s learner-centred approach (1988) are examples of this but also more recent approaches to learning and teaching, such as task-based language teaching, include elements that can support the development of autonomous learning skills (cf. Errey & Schollaert, 2005). In general, there is now a broader awareness of the importance of developing language and autonomous learning skills in addition to the language competencies. The development of learner autonomy is sometimes carried out through “learner training” or dedicated strategy instruction often through self-access centres (Gardner & Miller, 1999), but the most likely context in which learners should come into contact with the idea of autonomy and develop appropriate skills is the language course. As such, the classroom teacher is likely to have a major impact on students’ development towards autonomy. Much depends, then, on the teacher’s knowledge of autonomy and his/her ability to implement it into the curriculum, either with or without the use of self-access facilities to complement classroom teaching. However, it is still unclear how teachers develop this knowledge and the necessary practical skills. It is likely that teacher education courses and the materials used in them play an important role (Lamb & Reinders, 2008), but this has not been directly investigated yet. For this reason, this study looks at eleven popular teacher education books to establish if they deal with learner autonomy and if so, how they teach teachers to foster autonomy in the classroom. In particular we were interested to identify if the books show teachers how to foster autonomy in the classroom. We will begin by reviewing the relevant literature on developing learner autonomy before describing our study. Learner autonomy is a multi-faceted and complex construct that includes political, psychological, and pedagogical dimensions (Benson, 1996, Reinders, 2011). At a practical level, the development of autonomy requires learners to build up a skillset that allows them to direct their own learning. Most learners do not naturally have this skillset and need explicit instruction to develop it: “…if learners are not trained for autonomy, no amount of surrounding them with resources will foster in them that capacity for active involvement and conscious choice, although it might appear to do so” (Hurd, 1998, p. 72-73). But what do teachers need in order to be able to foster autonomy? Much will depend on their own conception of autonomy and their experience in implementing it at the chalk face. There are two aspects to this, one has to do with the teacher’s own autonomy, and the other with a set of teaching skills relevant for developing autonomy. In the literature, there has been an increasing attention given to teacher autonomy (McGrath, Sinclair, & Lamb, 2000; Lamb & Reinders, 2008). Teacher autonomy has been defined as the ability to improve one’s own teaching through one’s own efforts (see Lamb & Reinders, 2008). It therefore includes both the teacher’s ability to make decisions about teaching and their own professional development. This assumes both a degree of political autonomy in the sense that teachers need to have the freedom to make such decisions, as well as knowledge of themselves as teachers and as learners, in order to know how to make such decisions. Teacher autonomy is also usually conceived of as including the ability to understand the students’ learning needs and the ability to support them in their development towards autonomy. It is this latter ability that we are investigating in this article. Very little previous research exists that investigates the development of such skills and the ways in which teachers are supported in this. This research focuses either on existing programmes (Vieira, Paiva, Marques & Fernandes, 2008), who describe the development of a teacher education programme that attempts to “involve teachers in action-based inquiry into the development of pedagogy for autonomy in schools” or on professional literature for beginning teachers (teacher training materials/textbooks). The programme “aims at promoting student teachers’ critical reflectivity by helping them to: (1) problematise the contexts of teaching and teacher development, (2) inquire into pedagogical theories and practices, (3) promote learner-centred pedagogy, and (4) value self-direction and collaboration in professional development.” The programme is based on and uses small-scale action research projects conducted by the student-teachers in which they learn about ways to encourage reflection, experimentation, regulation, and negotiation. This is an innovative programme, which has been operating for 15 years now and to which a great deal of expertise and resources have been committed. It is probably safe to say that such expertise and resources are not generally available to most beginning teachers and such programmes are unlikely to be representative of the experience of most teachers. For practical reasons it would have been difficult for us to get insight into the contents of professional courses in a range of countries. Instead we decided to focus on the contents of the most commonly used teacher education literature. This study took place in Gazi University, with one of the authors providing support from a distance. Our aim was to identify the most popular, widely used, and currently available course books for language teachers. 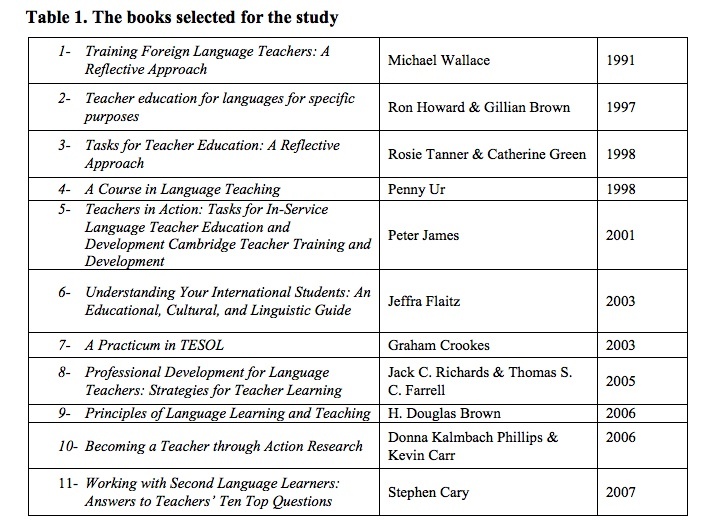 First, we identified eleven of the most popular books for courses in language teaching based on publicly available sales-rankings, such as through Amazon.com and other popular book sellers. Although we cannot be completely certain that the books we selected are indeed those that sold the largest number of copies, we do not doubt that they are among the most commonly used around the world. The criteria for inclusion were that the books teach beginning language teachers, cover a wide range of skills (excluding books on, for example, teaching vocabulary or grammar), and are widely used in many countries. The books we selected are listed in Table 1. In order to investigate if and, if so, how the books provide information to teachers about how to foster autonomy, we drew on a framework for self-directed learning developed by one of the authors (Reinders, 2010). 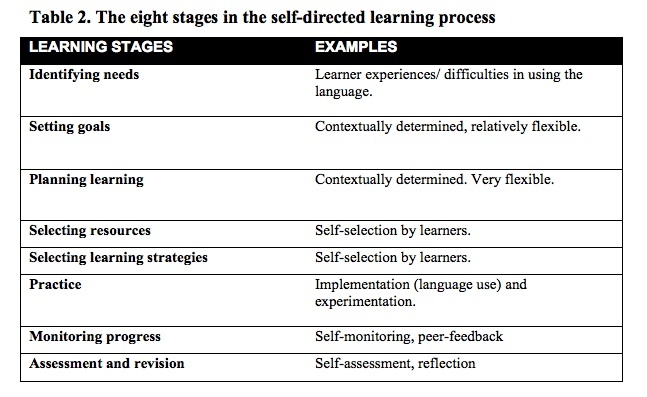 This includes eight stages in the self-directed learning process (see Table 2). These stages are iterative; they form a cycle that repeats and builds on itself. They are an expansion and adaptation of the five-step model developed by Knowles (1975) and are widely considered to be the key skills learners need to be able to self-direct their learning. We investigated if the books covered ways of supporting learners at these stages. It is worth noting here that we are fully aware that self-directed learning and learner autonomy are not interchangeable. Autonomy, for example, includes a more political aspect relating to an individual’s freedom to make their own choices about their education, as well as a more philosophical view relating to “the ability for individuals to choose and follow their own conception of a life that they deem to be suitable for themselves” (Winch, 2006, p. 1). We are not diminishing the importance of these elements of autonomy, but they are less easily identifiable from materials and were therefore considered to be beyond the scope of this article. Instead, we decided to focus on the more practical skills involved in the development of autonomy. 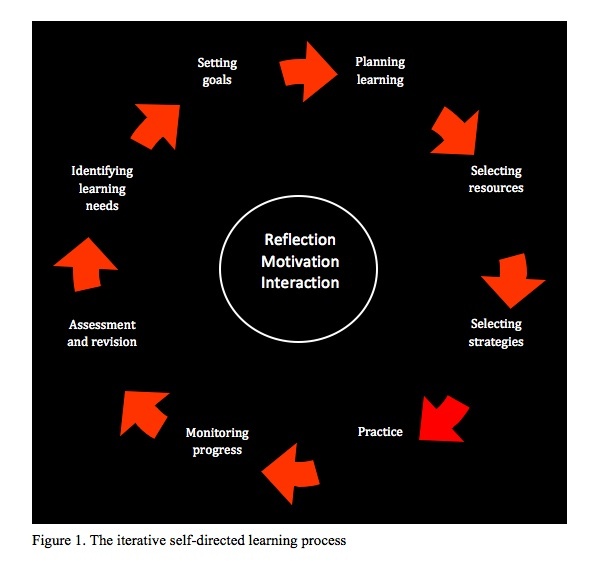 Figure 1 shows how these eight stages form a cycle, and how they are grounded in and impact on students’ reflection, motivation, and their interaction (with the language and other learners). Next, the eleven textbooks were investigated by the two authors to identify if and how they discussed the eight stages mentioned in Table 1. Each of us went through each of the eleven books and marked any instances where the books mentioned autonomy or any of the skills in Table 1. We made a distinction between cases where the books provided a description of learner autonomy and where they provided suggestions and materials on how to foster autonomy (e.g., sample materials, models). In case of a mismatch between the evaluation of both researchers, the findings were discussed until all discrepancies (of which there were very few to begin with) were resolved. Upon analysis of the results, it immediately became clear that descriptions of learner autonomy were virtually non-existent and that in only very few instances the skills in Table 1 were discussed. We will look at some examples now. In Professional Development for Language Teachers by Richards and Farrell (2005), mention is made of the use of portfolios and their potential role in developing in learners’ awareness of the learning process. This book also discusses the use of portfolios by the teacher and, implicitly, as this is not mentioned, by the student to monitor progress. It includes an example of a teacher’s portfolio and vignettes from teachers who have used portfolios with their students. The book also talks about the importance of learners being able to plan their own learning but it does not include specific instructions on how to do this, nor does it make explicit reference to learner autonomy. The course book Tasks for Teacher Education: A Reflective Approach by Tanner and Green (1998) does mention the importance of learners setting their own goals, albeit not in any length. It also talks about the importance of learners planning their own learning but does not include information about how to teach learners how to do this. Similarly, it discusses the importance of learners monitoring their own progress, without going into any practical detail. The book Training Foreign Language Teachers: A Reflective Approach by Wallace (1991) only mentions the need for learners to plan their learning, under the heading of “microteaching.” The book Teacher Education for Languages for Specific Purposes by Howard and Brown (1997) includes some information about the importance of independent learning strategies, but these are limited to strategies that teachers use to develop their own skills. The books in Table 3 did not include any information about the skills listed in Table 2. The chart below summarises the state of play. Out of 11 books, only 4 cover information about autonomy. None of the books included examples, or specific instructions. The results above are surprising, and from the perspective of researchers interested in learner autonomy, disappointing. Although there was some limited discussion of portfolios and the importance of planning and monitoring in some of the books, none made any attempt to cover the skills identified in Table 2, and none discussed the topic of learner autonomy explicitly or to any depth. In the few occasions where the books discussed skills, such as planning and monitoring, no explicit guidance was given to the readers, no examples or models included, and no specific instructions on how to incorporate these subjects into a lesson. Teacher autonomy and learner autonomy are closely linked and without sufficient knowledge and guidance, teachers are unlikely to develop the skills to be able to foster learner autonomy in their own classrooms. The last decades have seen major changes in language education with a focus towards more communicative, more authentic, and more learner-focused pedagogies, but clearly there is still a considerable way to go before the development of language-learning skills, and the importance of preparing learners for, and supporting them in language use outside the language classroom becomes a standard area of attention in textbooks. We would like to acknowledge some limitations to this study. One of these, of course, is that teachers’ development does not only result from their interaction with textbooks. People learn from many sources, not least of which are the teacher educators who facilitate the teacher development courses they take, as well as classroom observations and journal reflections. Nonetheless, we feel the course textbook is an important source of information and therefore important to look at. Secondly, it can be argued that the model of self-directed learning used in this study only reflects one aspect of autonomy, and only includes some of the more practical skills that learners need to develop. It is possible that the textbooks discuss aspects of learning, such as choice and freedom, critical reflection, and the development of a general awareness, but for practical reasons we had to limit ourselves to only those aspects that we could relatively easily recognise as relating to the development of autonomy. It also became clear to both of us after studying these eleven textbooks that very little attention is given to such aspects of teaching. In conclusion, the results show that despite the common interest in learner autonomy teachers are not necessarily provided with sufficient information in teacher training texts to develop an understanding of learner autonomy, at least not at a practical level. This is likely to extend to those working in self-access centres. Without such an understanding, perhaps it is not surprising that we often find learners struggling to develop as autonomous learners. One implication of this is that materials writers need to pay more explicit attention to the ways in which teachers can develop learner autonomy and provide beginning teachers with more information about autonomy and, in particular, with specific guidance and examples of how to foster autonomy in and outside of the classroom. Another important implication is that teacher educators, and of course the teachers they teach, cannot rely on popular textbooks to cover this important subject and will instead have to complement the course book with additional materials and instruction. If learner autonomy is less likely to develop without teacher autonomy, then more attention needs to be given to the contents of teacher education materials. Dr. Hayo Reinders (www.innovationinteaching.org) is Head of Learner Development at Middlesex University in London. He is also Editor of Innovation in Language Learning and Teaching, and Convenor of the AILA Research Network for CALL and the Learner. Hayo’s interests are in CALL, autonomy, and out-of-class learning. He is a speaker for the Royal Society of New Zealand. His most recent books are on teacher autonomy, teaching methodologies, and second language acquisition and he edits a book series on ‘New Language Learning and Teaching Environments’ for Palgrave Macmillan. Dr. Cem Balcikanli works as a lecturer in the ELT Department of Gazi University, Turkey. He is also Publications Coordinator of the AILA Research Network for CALL and the Learner. He has widely published articles on learner/teacher autonomy, use of Web 2.0 technologies in language learning/teaching and teaching Turkish as a foreign language. He takes active part in the in-service training programs of the Ministry of Education as a trainer and has contributed to a number of projects run by the Ministry for primary, secondary and tertiary levels. Benson, P. (1996). Concepts of autonomy in language learning. In R. Pemberton , E. Li, W. Or, & H. Pierson. Taking control. Autonomy in language learning. (pp. 27-34). Hong Kong: Hong Kong University Press. Benson, P. (2001). Teaching and researching autonomy in language learning. London: Longman. Breen, M. (1987). Contemporary paradigms in syllabus design (parts I and II). Language Teaching, 20, 91-92/157-174. Brown, H. D. (2006). Principles of language learning and teaching. Addison Wesley Longman. Cary, S. (2007). Working with second language learners: Answers to teachers’ ten top questions. Portsmouth, NH: Heinemann. Crookes, G. (2003). A practicum in TESOL. Cambridge: Cambridge University Press. Errey, L., & Schollaert, R. (2005). Whose learning is it anyway? Developing learner autonomy through task-based language learning. Coronet Books. Flaitz, J. (2003). Understanding your international students: An educational, cultural, and linguistic guide. Michigan, U.S: University of Michigan Press. Gardner, D., & Miller, L. (1999). Establishing self-access. From theory to practice. Cambridge: Cambridge University Press. Howard, R., & Brown, G. (1997). Teacher education for languages for specific purposes.Philadelphia: Multilingual Matters Ltd.
Hurd, S. (1998). Too carefully led or too carelessly left alone? Language Learning Journal,17, 70-74. James, P. (2001). Teachers in action: Tasks for in-service language teacher education and development. Cambridge: Cambridge University Press. Knowles, M. (1975). Self-directed learning: A guide for learners and teachers. New York: Cambridge: The Adult Education Company. Lamb, T., & Reinders, H. (Eds.). (2008). Learner and teacher autonomy: Concepts, realities, and responses. Amsterdam: John Benjamins. McGrath, I., Sinclair, B., & Lamb, T. (2000). Learner autonomy, teacher autonomy: Future directions. Harlow: Longman. Nunan, D. (1988). The learner-centred classroom. Cambridge: Cambridge University Press. Phillips, D. K., & Carr, K. (2006). Becoming a teacher through action research: Process, context, and self-study. New York: Routledge. Reinders, H. (2010). Towards a classroom pedagogy for learner autonomy: A framework of independent language learning skills. Australian Journal of Teacher Education, 35(5),40-55. Reinders, H. (2011). Towards an operationalisation of autonomy. In Ahmed, A. Cane, G. & Hanzala, M. Teaching English in multilingual contexts: Current challenges, future directions. Newcastle: Cambridge Scholars Publishing. Richards, J. C., & Farrell, T. S. C. (2005). Professional development for language teachers: Strategies for teacher learning. Cambridge: Cambridge University Press. Tanner, R., & Green, C. (1998). Task for teacher education: A reflective approach. Harlow: Pearson. Ur, P. (1998). A course in language teaching. Cambridge: Cambridge University Press. Vieira, F., Paiva, M., Marques, I., & Fernandes, I. (2008). Teaching education towards teacher and learner autonomy: What can be learnt from teacher development practices? In T. Lamb & H. Reinders (Eds). Learner and teacher autonomy: Concepts, realities, and responses. Amsterdam: John Benjamins. Wallace, M. (1991). Training foreign language teachers: A reflective approach. Cambridge: Cambridge University Press. Winch, C. (2006). Education, autonomy and critical thinking. New York and London: Routledge.